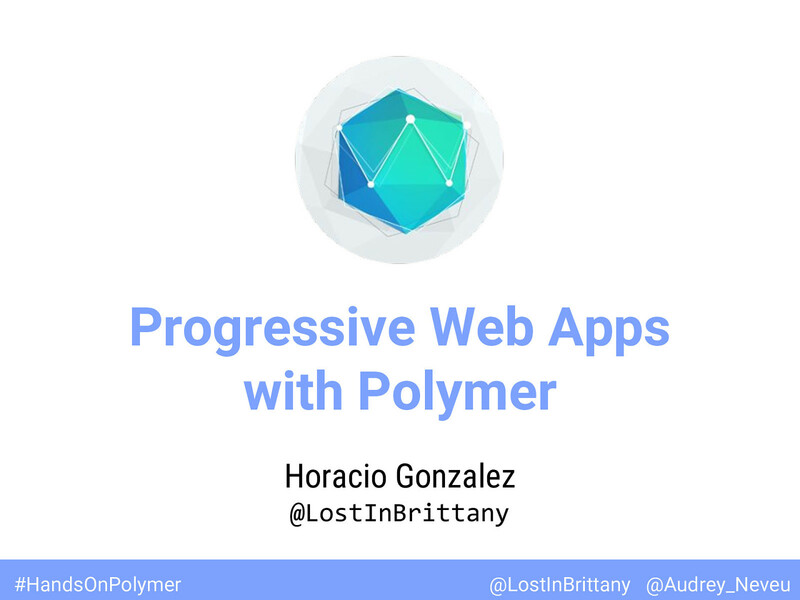 View Hands-on lab on Progressive Web Apps with Polymer on Notist. Progressive Web Apps (PWA) combine the best of the web and the best of apps. They are useful to users from the very first visit in a browser tab, no install required. As the user progressively builds a relationship with the app over time, it becomes more and more powerful. It loads quickly, even on flaky networks, sends relevant push notifications, has an icon on the home screen, and loads as a top-level, full screen experience. And better yet, you can build PWAs with Polymer easily and without pain, using all the power and simplicity of web components. In this lab you will learn to build your first PWA using Polymer, how to make your PWA installable, how to manage the caching policies to give a nice offline UX to your users and you will even learn how to integrate in your PWA other new and upcoming web technologies like Physical Web. As we will mainly user available web components to build the app, a working knowledge of Polymer is not required to do the lab, we will introduce briefly the web-components concepts at the beginning of the session.